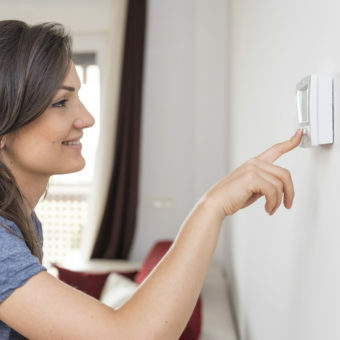 Interested in lowering your bills this winter? Use the 10 tips below to conserve energy. Lower your water heater temperature. The Department of Energy recommends using the warm setting (120 degrees) during fall and winter months. Unplug electronics such as TVs and kitchen appliances when you are away. Use power strips for multiple appliances, and turn off the main switch when you are away from home. Wash clothes in cold water, and use cold-water detergent when possible. Looking for More Info on Electric Vehicles?